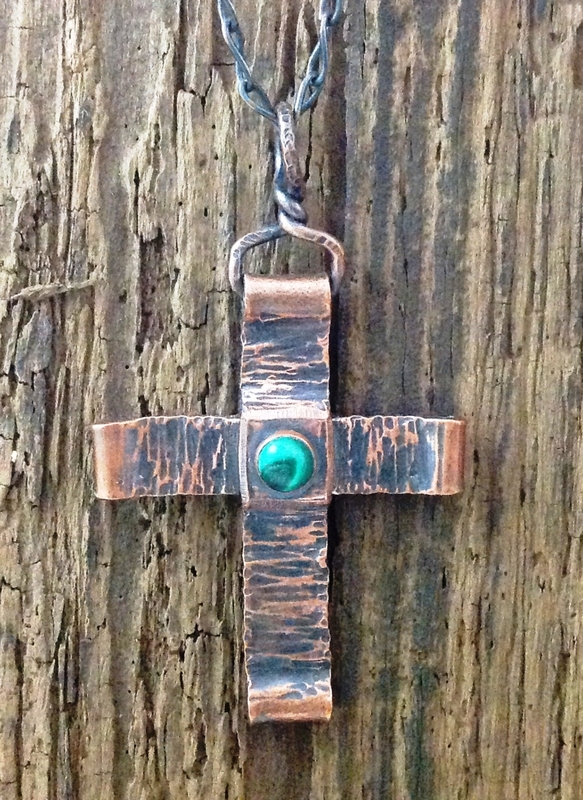 This solid copper cross has a 6mm Hematite cabochon in a silver bezel. It comes on a 20" copper chain. It measures 1 inch wide and 1-1/2 inch tall.